Cheddar and Brie are ready to go to their forever homes. 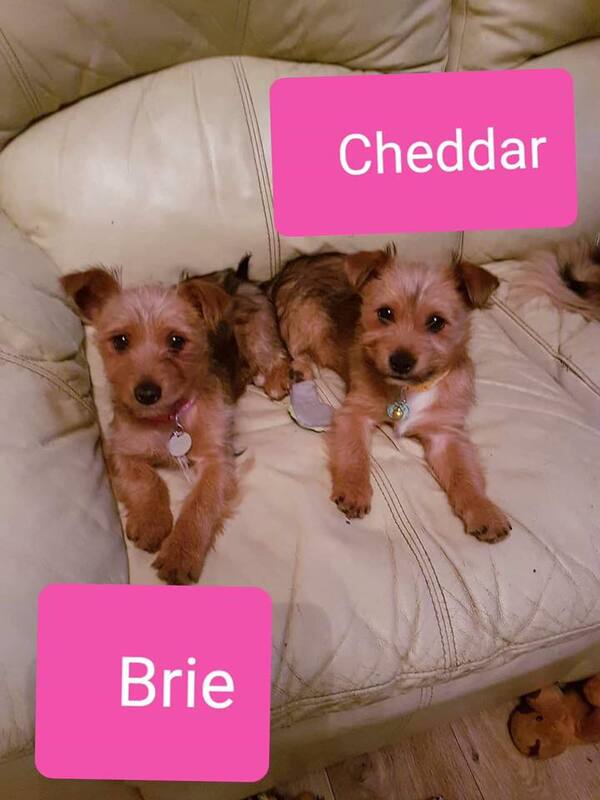 They are 11 week old terrier cross girl’s, who will be small in size when fully grown. They had never had human contact from the day they were born till they went into foster. At the moment they love to snuggle up to you in the evening but they are still unsure of human touch so a patience, relaxed home with older children or other dogs is an essential. It will take a few weeks and a lot of cheese, but will be worth it! They are looking for separate homes .